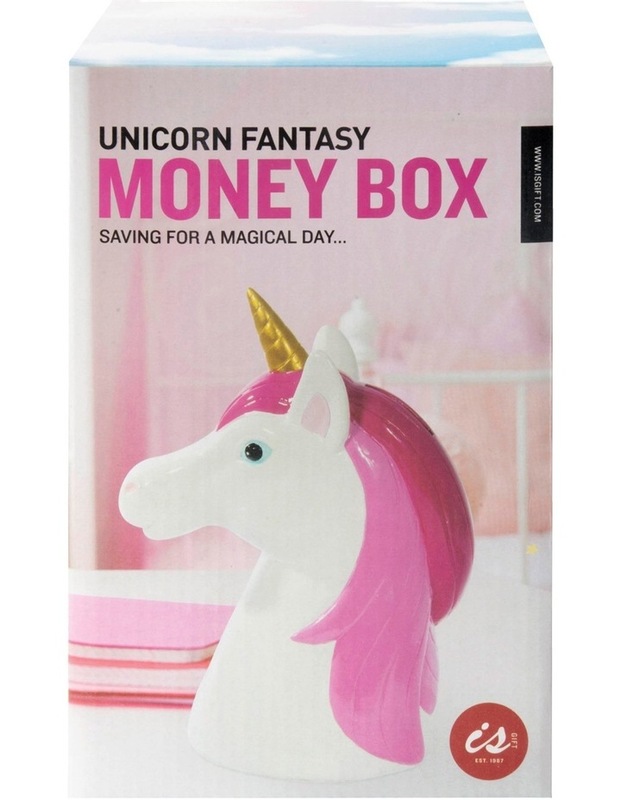 Saving for a magical day Add a little magic to your savings! 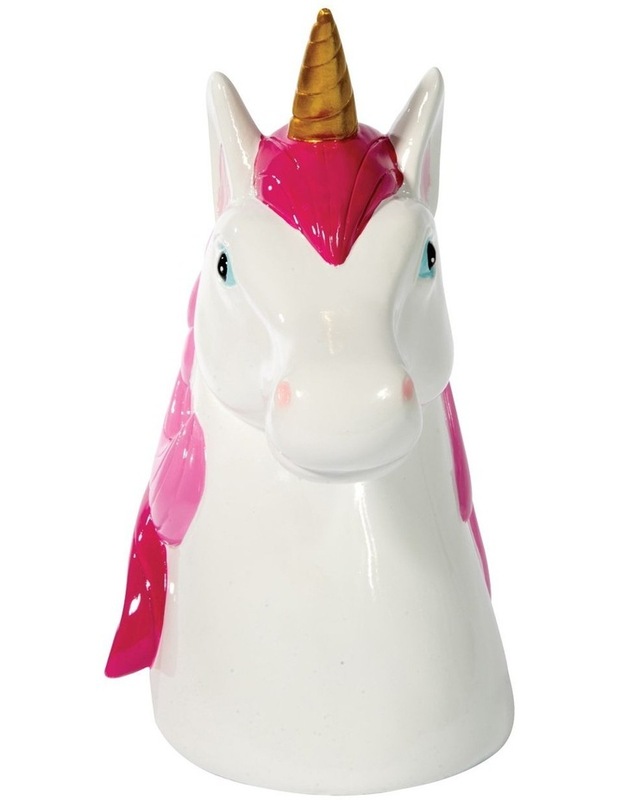 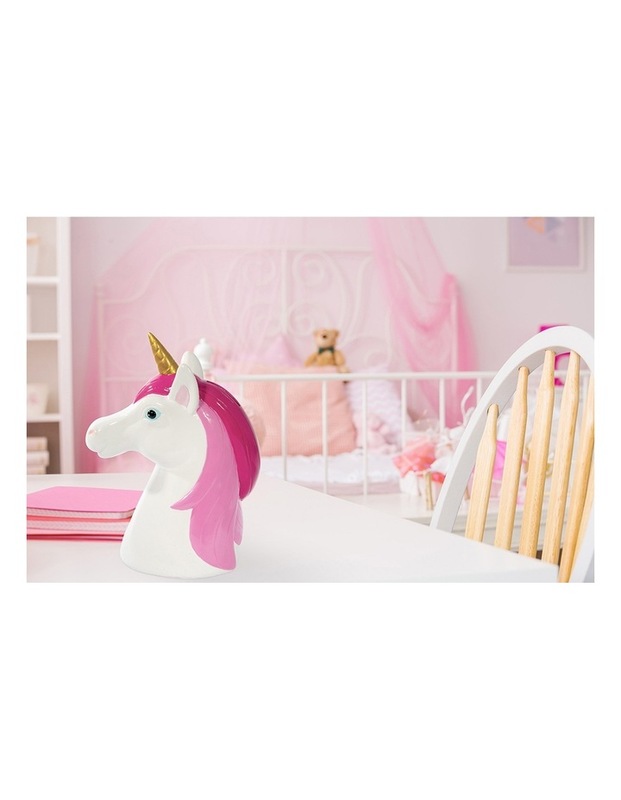 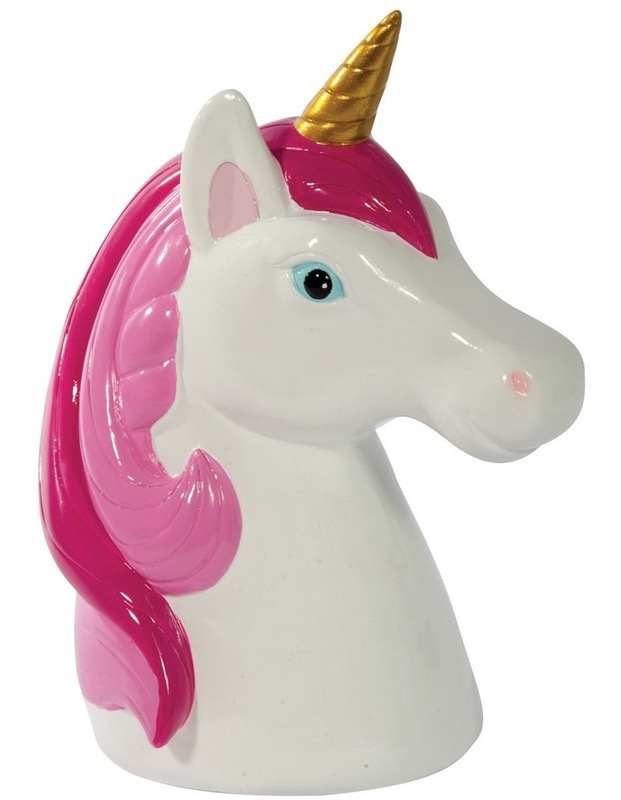 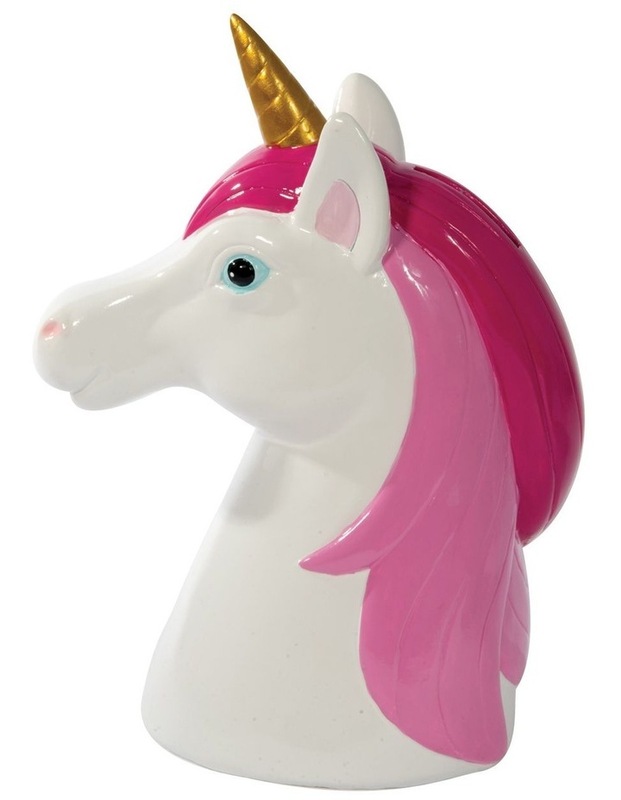 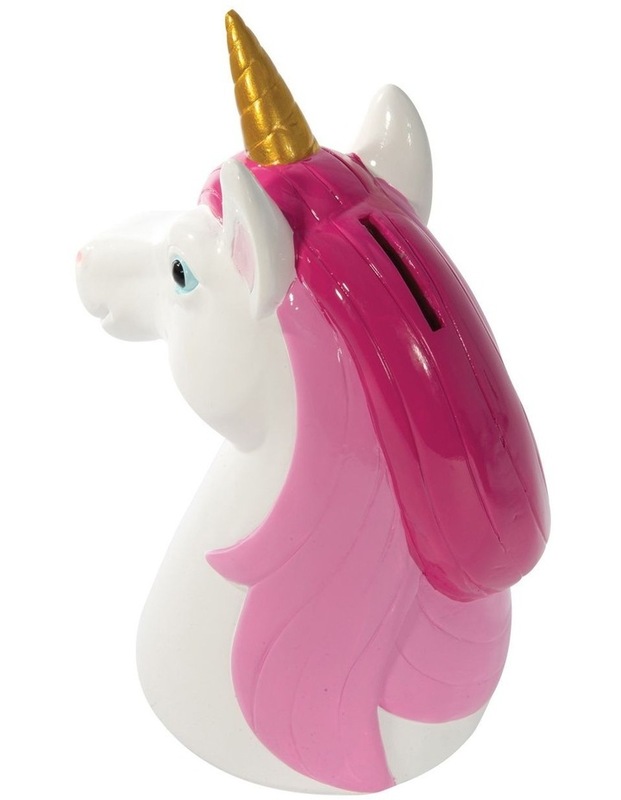 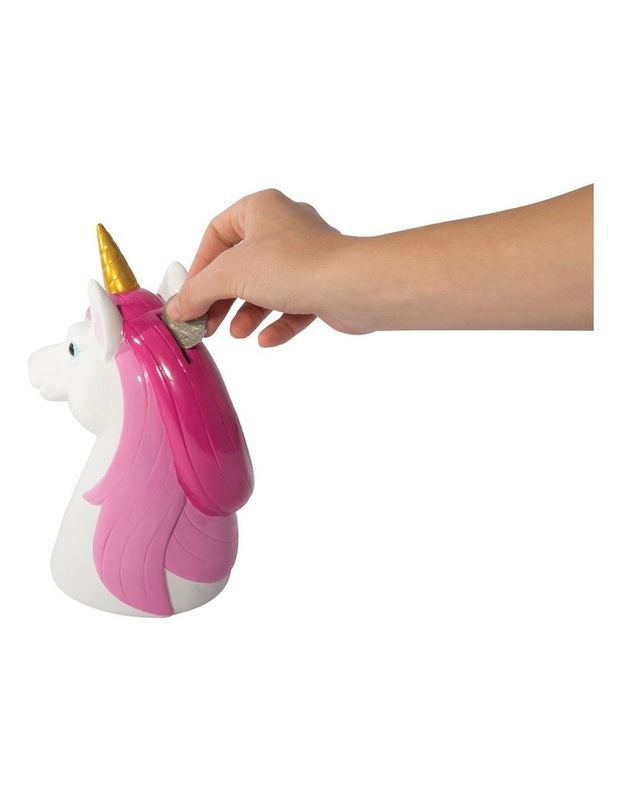 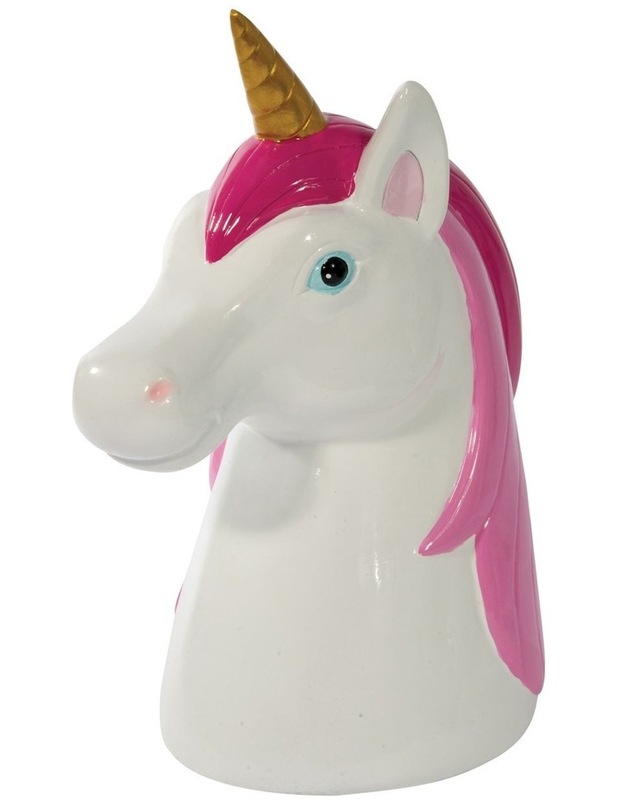 Simply insert your coins into the slot in the unicorns rainbow mane. 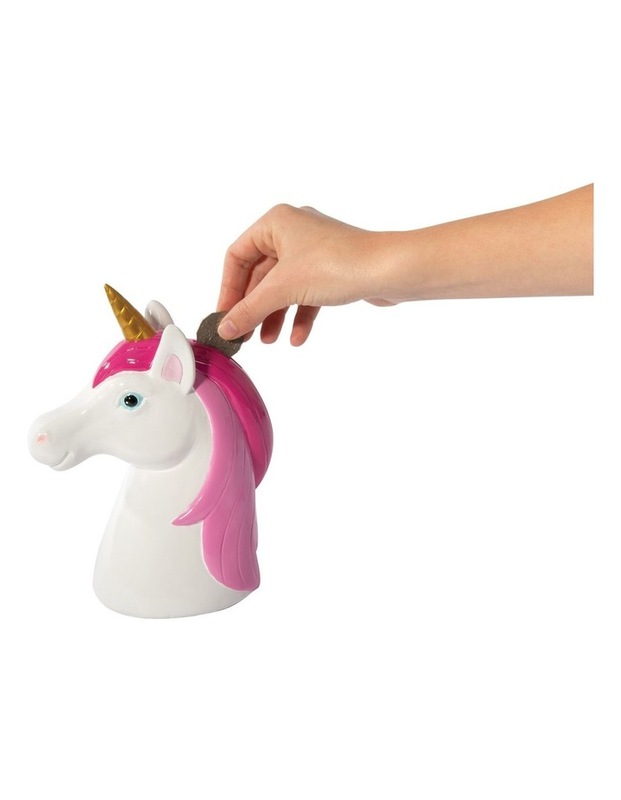 Remove the plug in the base when youre ready to count your coins.